Kaabil‘s new trailer is out today and like the first one, even this one will keep you stunned with the suspense in the film. Well, starring Hrithik Roshan and Yami Gautam in the lead, the trailer shows how Yami in the film gets attacked and the accused behind is none other than, Ronit Roy who is a veteran TV actor and also has been seen in many Bollywood films. Hrithik’s character is that of a visually impaired who sets a revenge mission on the antagonists and fails to seek help from the cops. The trailer of Kaabil is dark, full of suspense and exciting at the same point as to what would have happened to the blind lovers in the film. The trailer opens up full with colors where the two blind lovers are seen in their own colorful lovely world but takes a turn when the antagonists come and attack Yami. 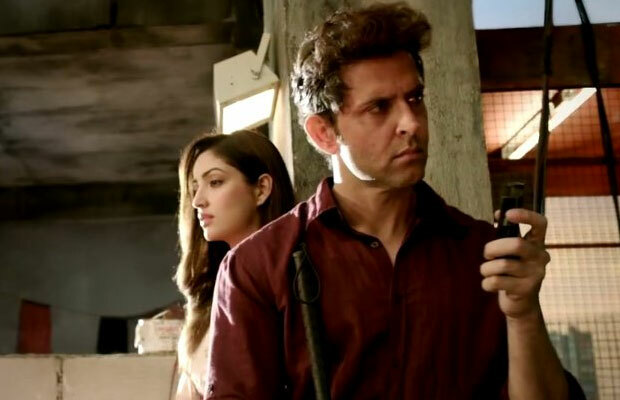 Although, a rough prediction of the film can be made from the trailer but Sanjay Gupta has managed to keep the trailer very promising such that it excites the audience and at the same time also keeps the secrets locked in the Kaabil trailer itself. Both Yami and Hrithik look amazing in the film and are sizzling with their new chemistry. Directed by Sanjay Gupta and produced by Rakesh Roshan, the film also stars Ronit Roy and Rohit Roy as the villains. Although the film was seen undergoing many troubles with it’s release dates and clashes with Netflix, seems Kaabil will win our hearts with its quirky story line. Lets wait for January 25 till then. Next articleExclusive Bigg Boss 10: Manu Punjabi Heads To Hit Om Swami With A Table For This Reason!